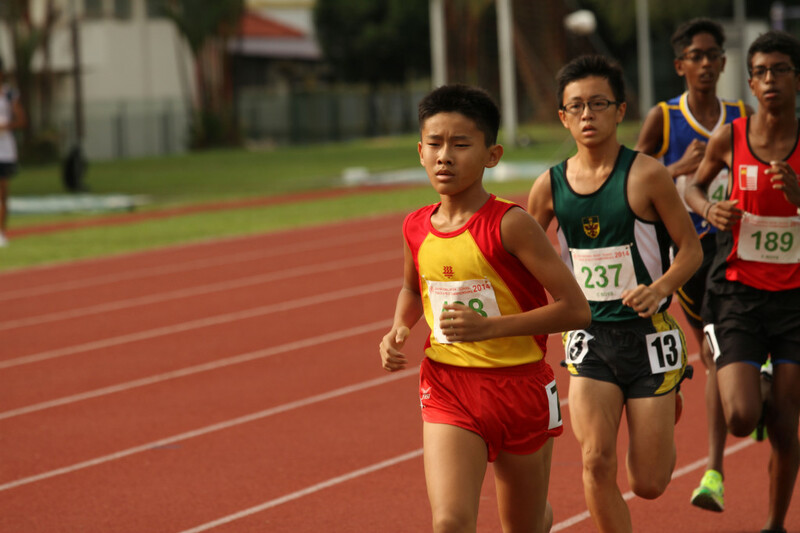 Er Wen Han of HCI looks favorite going into the finals of the 3000m C-Boys category as he leads the division with a comfortable timing, 10:23.55 minutes in the heats earlier in the day, some 20 seconds faster than his nearest competitor. 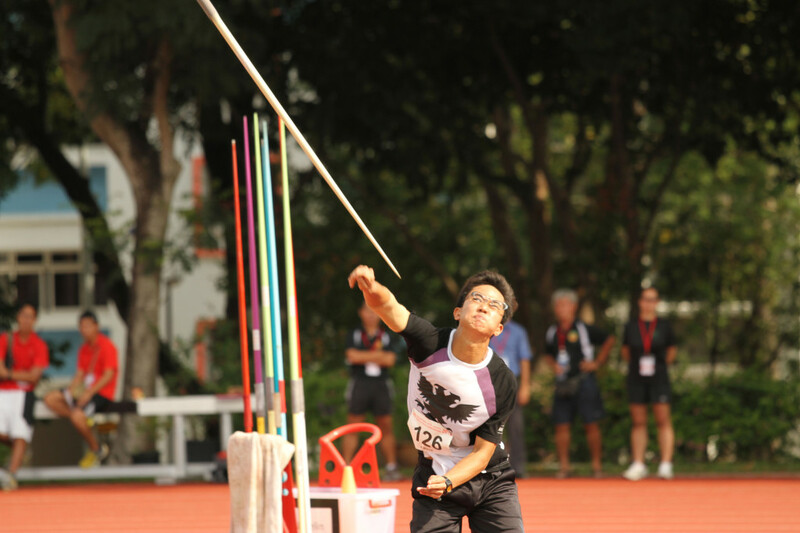 Chun Soon Kon of Raffles Institution stamped his authority in the javelin A-Boys category, with a commanding 55.50 metres effort which earned him a deserved gold. 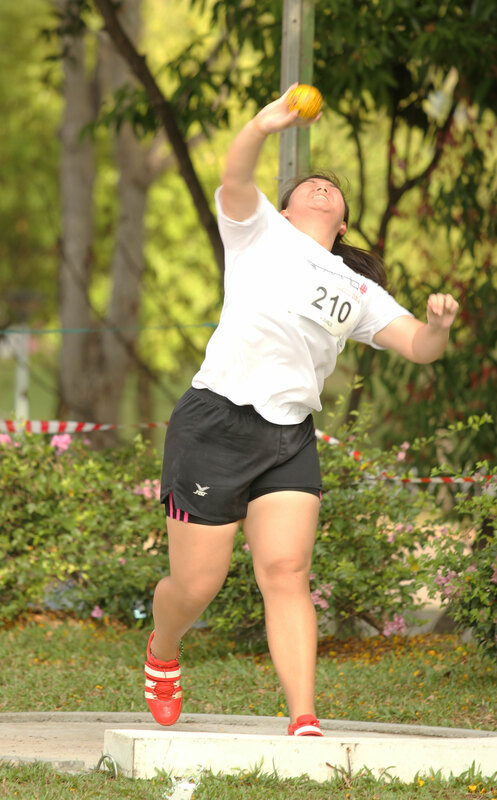 Liew Chiat Ying Julia of HCI held off a spirited fight from her shot put counterpart in the Shot Put A-Girls, winning gold with an effort of 10.50 metres. 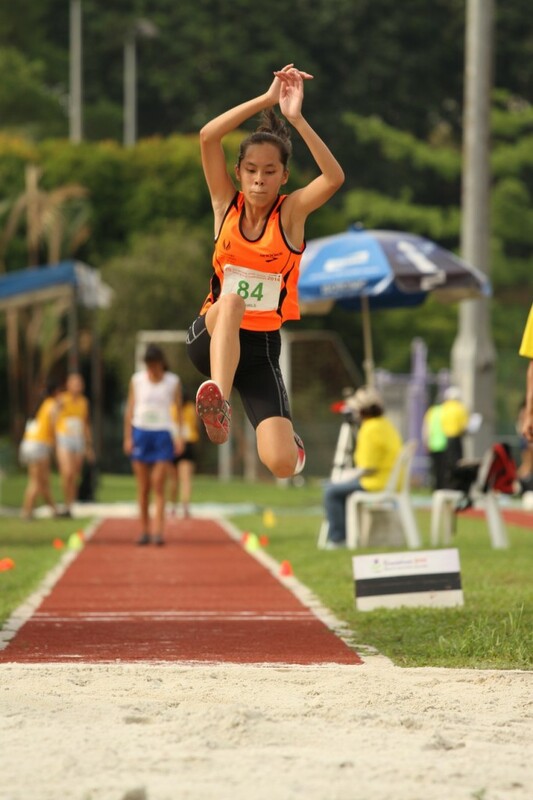 Jezebel Koh Xin Yun struck Singapore Sports School first gold for the National Schools T&F C’ships. Her 10.35 metres jump was good enough for first position. 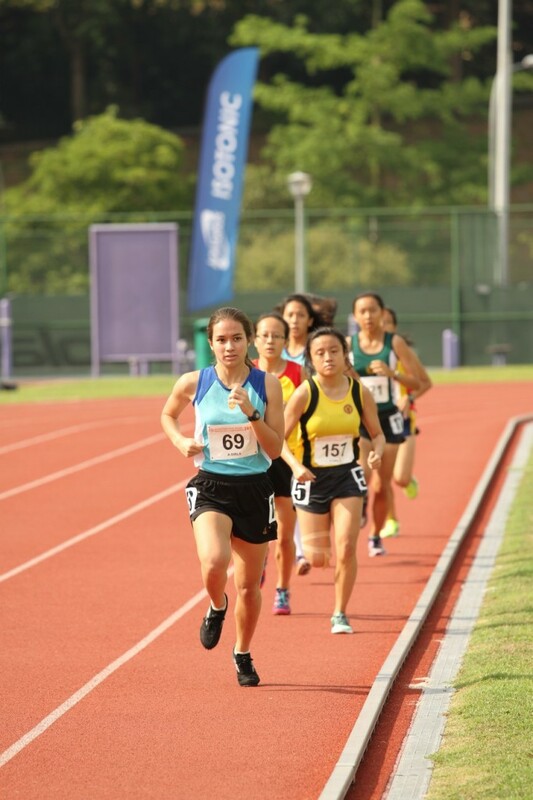 Melanie Anne Hui Fen Bickham of CJC (#69), the fastest qualifier for the A-Girls 1500m event, with a timing of 5:31.28 minutes.